Mercedes Benz without the premium! Mercedes Benz is a brand associated with luxury and all things flash! 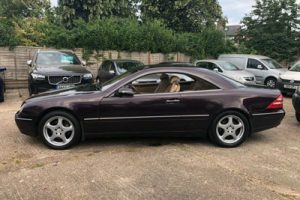 Mercedes are best known for their high standard build quality, with safety, comfort and refinement at the forefront of each and every one of their motor vehicles. They often tend to be extremely reliable due to be ‘overengineered.’ Maybe that’s the reason in 2013, 298,000 of the 372,000 registered cars in Albania were… Mercedes’! From the expensive price tag, to the famous star bonnet ornament, everybody at some point lusts over a Mercedes! But does it always have to be so expensive? Absolutely not! We’ve compiled a list of Mercedes which have already taken the depreciation hit! Here are Ultimate Styling’s favourite affordable Mercedes’! 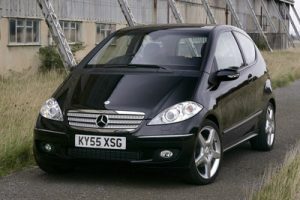 The first- and second-generation Mercedes A Class are two models that have been hit by the depreciation stick quite hard. Many believe this is down to their ‘cheese block’ triangular styling. The second generation brought with it a sporty rendition of the otherwise ordinary A Class. The 2005 A200 Turbo featured upgraded AMG alloy wheels and a 4-cylinder turbocharged engine producing 193bhp. We found one with just 72,000 miles featuring the optional 7-speed Tiptronic gearbox for just £2975! Find Mercedes A Class Parts here! The second instalment of the CL appeared in 1999 based on the S Class released just a year prior. The CL was the one of the most luxurious coupes on the market. With the smallest engine being a 5.0 V8, and the largest being a 6.3 V12, the CL was never popular with Greenpeace! We found this metallic purple example packing the entry level 5.0 V8 with a mere 83,000 miles for just £3600! Find Mercedes CL parts here! In late 2005 the second generation of ML launched, bringing with it a much-needed refresh in the styling department. This was Mercedes take on a luxury 4×4 which grew to spend more time on the Cheshire school run, than it did on any off-road surfaces. 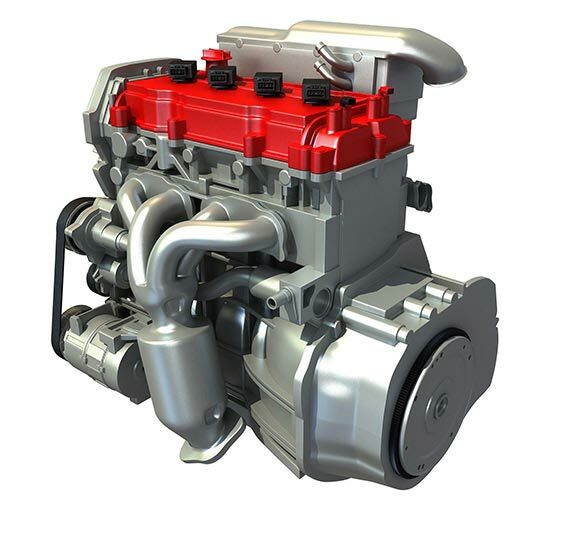 The ML even featured an ML63 AMG variant featuring Mercedes hand built 6.2 V8 M156 lump. The entry level model featured a 3.0 turbo-diesel which can be found in the ML280CDI we spotted for just £6795! A low mileage example with just 72,500 on the clock! 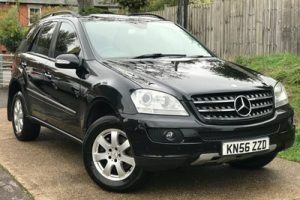 Find Mercedes ML parts here! After the success of the first generation SLK, Mercedes brought the SLK into the 21st century, with aggressive looks and even pokier powerplants. The range was topped by a crazy SLK55 AMG housing a 5.4 V8. This car however was a bit too loud and lairy for most buyers. The next best thing was the SLK350. The 350 featured a 3.5 V6 that pumped out 270bhp, meaning a 0-60 time of just 5.4 seconds. We managed to find the rarer and more enjoyable manual version, which we think adds to the fun of a two-seater sports car! 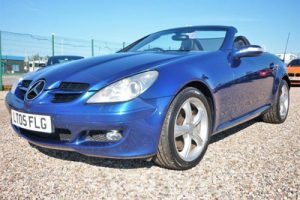 This 2005, metallic blue example with only 83,000 miles is priced at just £5000! Find Mercedes SLK parts here! 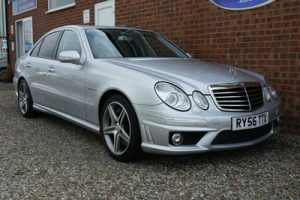 The third generation of E Class, world renowned with Taxi drivers and business executives a like! The model in question though features the AMG badge. The facelifted model, the E63 AMG, had the 6.2 V8 producing an eye watering 515bhp and a more impressive 465 ft-lb of torque! It’s a surprised the E63 didn’t orbit its own moon! 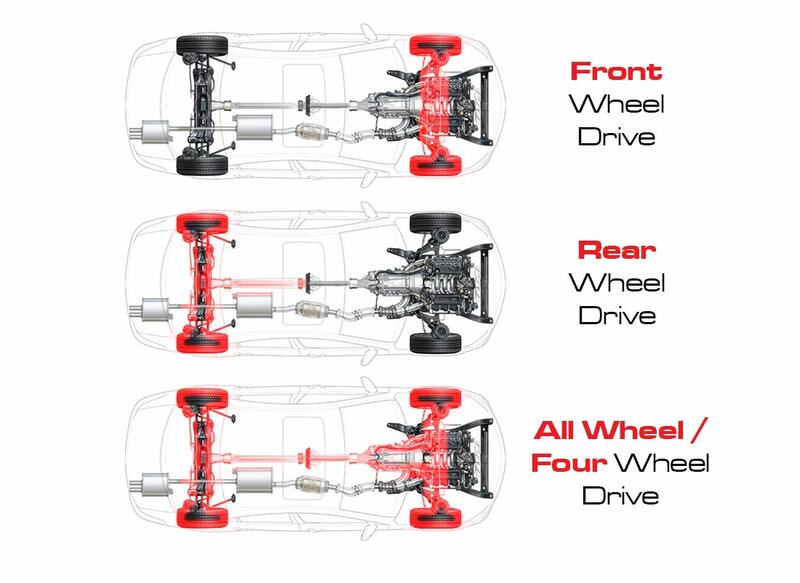 These figures managed to propel the car from 0-60 in 4.4 seconds! Despite the 155mph speed limiter, owners with the limiter removed have claimed top speeds of up to 200mph! Not bad for a family saloon! We found this 2006 model with just 67,000 miles for £12,900! Find Mercedes E Class parts here! Do you own a Mercedes Benz? 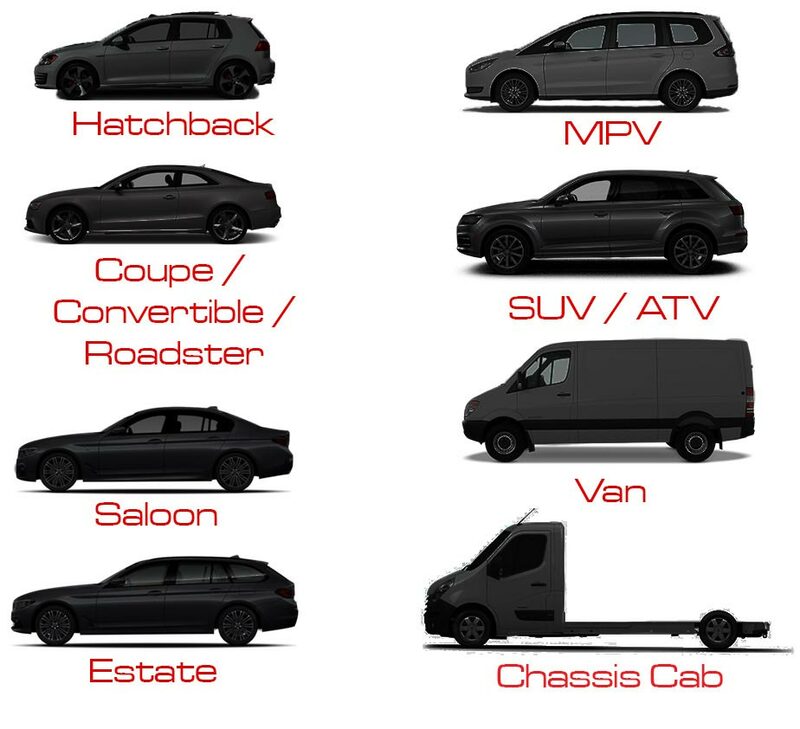 Ultimate Styling has a wide range of parts covering 35 different models! 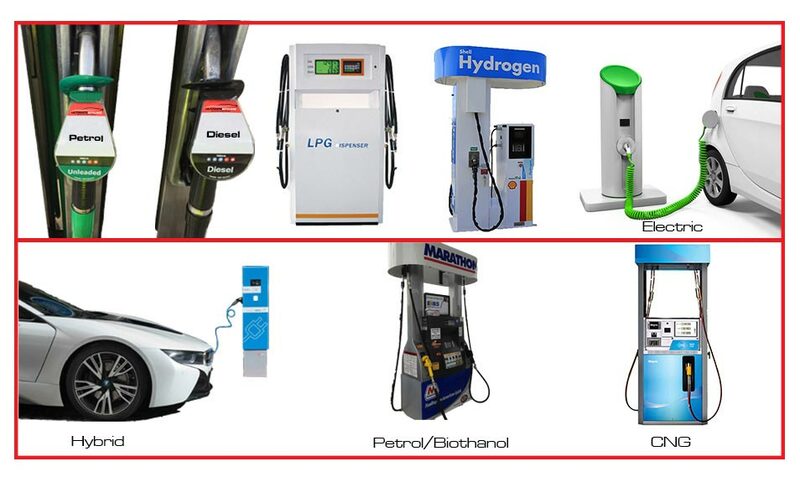 We’re sure to have what you need to keep your Merc moving! Please enter your vehicle registration or details into the car part finder at the top of this page to find the right parts for your Mercedes Benz.